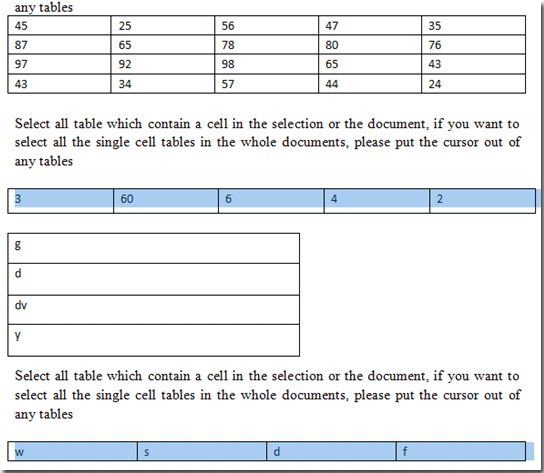 It will be a huge work to select the single row table one by one when there are multiple tables in the current document. 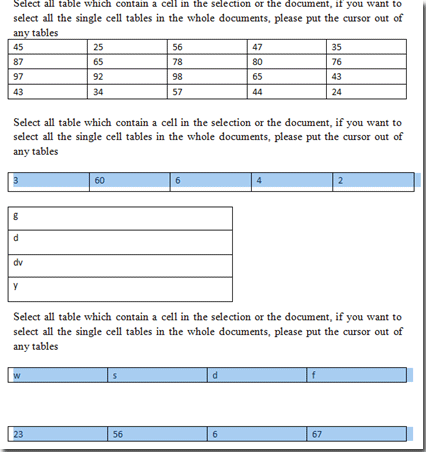 However, the utility Select Single Row Tables in Kutools for Word will help you quickly select all single row tables from the whole document or from a selection of the current document. 1. 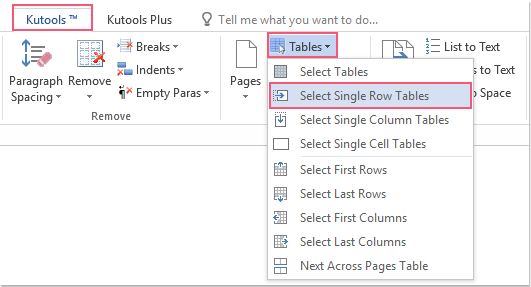 Please put the cursor out of any tables and click Kutools > Tables > Select Single Row Tables. 2. 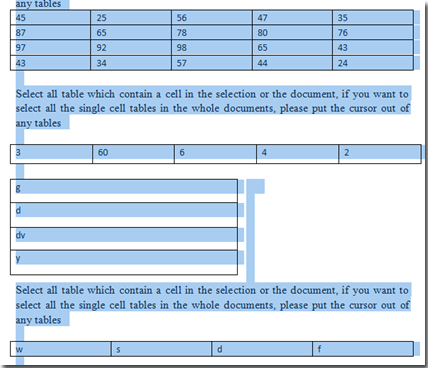 It will select all the single row tables. 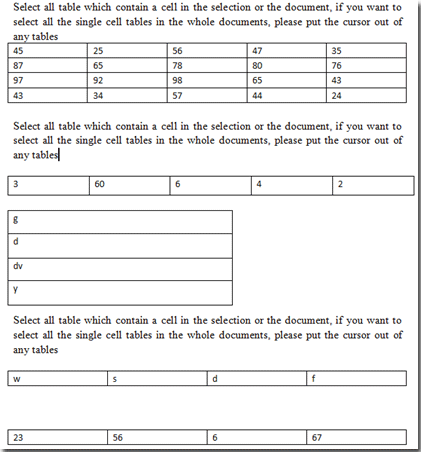 See the following screenshots.